Kurgan-Bergen Realtors fulfills its client’s requirements by defining their goals and accomplishing their objectives through its vast network of services. Our Commercial Division is able to produce beneficial results by utilizing their in-house data base, as well as the listing data from statewide memberships in Co Star Group and LoopNet Multiple Listing Services. Its principals have decades of collective Real Estate experience and provide intelligent real estate solutions to maximize profitability based on market knowledge and a successful history of real estate negotiations. Daniel Saxon, Broker Associate, is the Director of the Commercial and Industrial Division. A graduate of the University of Pennsylvania (Wharton School) with a BS in Economics, Mr. Saxon’s career has spanned over thirty years. Kurgan-Bergen’s Commercial Division’s recent activity include the sales of two residential complexes, an East Rutherford strip mall, a City of Clifton ten acre tract for rental housing, as well as a 237,000 sq. ft. warehouse ($14 million) in Passaic County. 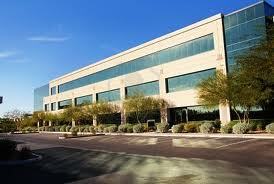 No matter what the size of the client’s venture, our Commercial Department can be contacted at 201-939-6200 ext 21.